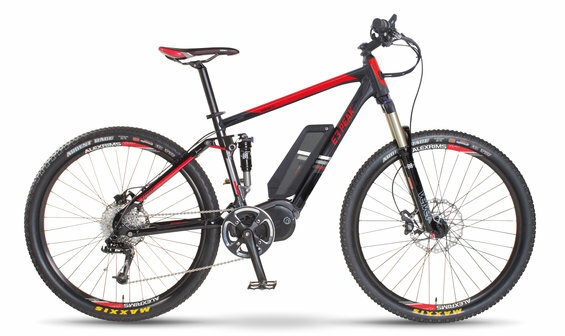 We took everything that made the E3 Peak Electric Bike special and added in a full suspension 4-link frame, a longer travel fork, upgraded parts and made a veritable billy goat that will eat up trails and ascents and then bring you back down just as easily. Yup, great torque, great controls and software, outstanding ride quality going up or down and offroad worthy parts. Fast, up to 28 mph with rider input yet fully controllable with easily modulated hydraulic disc brakes. This is a bike to take you places you never dreamt possible. Power makes a difference, and the E3 Peak DS has it — in spades. We took everything that made the E3 Peak special and added in a full suspension 4-link frame, a longer travel fork, upgraded parts and made a veritable billy goat that will eat up trails and ascents and then bring you back down just as easily. Yup, great torque, great controls and software, outstanding ride quality going up or down and offroad worthy parts. Fast, up to 28 mph with rider input yet fully controllable with easily modulated hydraulic disc brakes. A bike to take you places you never dreamt possible. Purpose-built suspension 4-link off-road frame w/650b wheels. SRAM X9, hydraulic disc brakes.